I'm still sifting through some of my favorite festival-inspired outfits from Coachella and how they can translate into style inspiration for this upcoming summer. 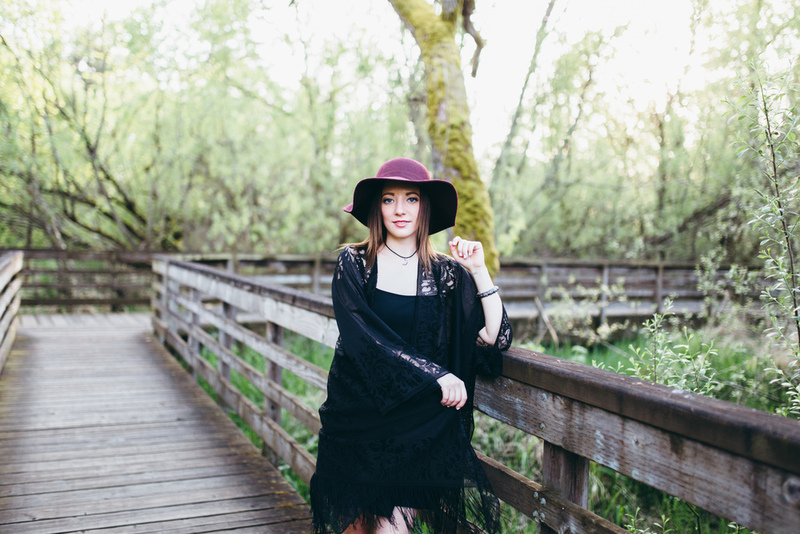 Some of my go-to outfit pieces I'm loving are floppy hats, sundresses and items with lots of flow. As mentioned in my last blog post featuring festival-inspired wear from my most recent styled shoot with KNDM Co., I am showcasing how to wear a variety of festival-inspired clothing trends this summer that can be worn during the day or for a night out. My second look showcases one of my favorite "going out" outfits. I love outfits that are versatile yet stylish during the summer, I also love having fun playing up accessories. In this look, I am wearing my favorite LBD (little black dress) from Nordstrom that's perfect for dressing up or dressing down during the summer. I love the statement cut out in the front and the shorter, skater-styled length --which varies from my black maxi dresses or flowy mid-length dresses I own. My favorite element to this look is my black detailed kimono from Nordstrom Rack. I originally purchased this to have in Palm Springs because it is light-weight and embraces that festival vibe with the tassels and floral cut-outs -- however, it's now become my summer staple. 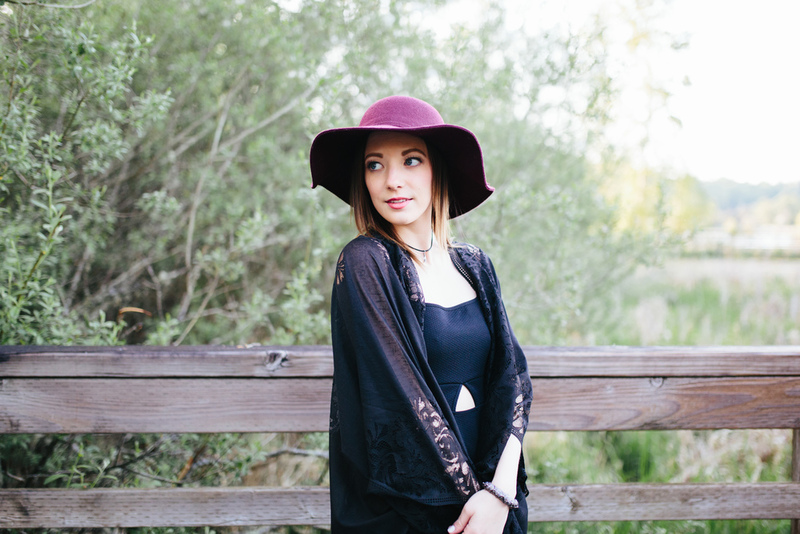 I love how this kimono can go with absolutely anything and adds some extra sass to any look. Since this look is more on the darker/romantic side, I'm pairing my all black outfit with some color by wearing my oversized dark red floppy hat from Nordstrom. I tend to wear this hat only in the fall but sometimes it's fun to wear darker, moodier colors that make a statement when everyone is wearing bright and bold colors in the summer. For accessories, I'm wearing my black velvet moon choker necklace from Brass Plum that is perfect for pairing with festival-inspired outfits. I also love it because it's different than my daintier gold pieces I typically wear. I'm also wearing a metallic chunky bracelet from LOFT to help tie in my metallic necklace pendant. For shoes, I opted for my Steve Madden sandals since they go with everything, are extremely comfortable and help tie in my festival-esque outfit with the tassels on the back. Festival wear does not have to be regulated just for the day, it can also morph into your perfect evening look through the use of mixing and matching pattern, color texture and various styles in the summer!